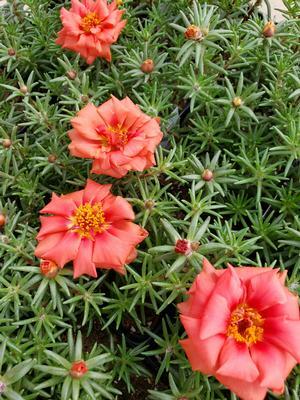 Portulaca Sundial Scarlet's heat loving and drought resistant characteristics make it a superb plant for late Spring and Summer weather. Sundial Scarlet grows spiky, trailing greenery with red/orange flowers blooming amidst the foliage. Portulaca Sundial blooms repeatedly all summer long. 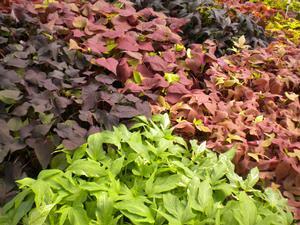 It has average watering needs so simply water regularly. 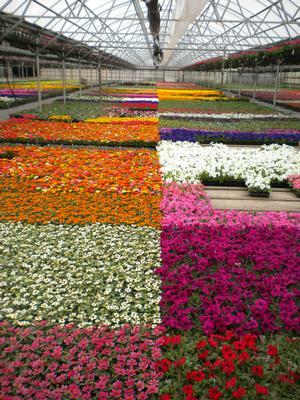 The Sundial series sets blooms 10-14 days earlier than most varieties. 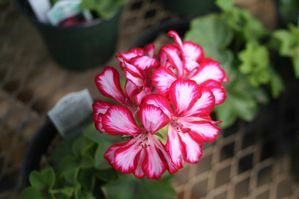 This annual is an excellent performer that requires very low maintenance.